Because of its beautiful waters and abundance of marine wildlife, the Kona coast on Hawaii’s biggest island is an amazing destination for vacationers and snorkelers of all kinds. Spend time with the state’s famous sea turtles or book a trip into the best bays in the area. You’ll have the trip of a lifetime as you get up close and personal with ocean animals and views. Plus, the Kona side of the island is full of history, dining, and shopping, so you’ll never have a dull moment. Looking for the best place to stay on The Big Island if you love the ocean? Here are some gorgeous rental properties that offer access to the best snorkeling locations, as well as impressive amenities and oceanfront views. As you drive up to the beautiful gate that offers you and your guests complete privacy, you won’t have a hard time appreciating the beachfront views. Watch dolphins and whales play from the comfort of your rental, and keep an eye on Kahalu’u Bay where snorkelers and surfers arrive in abundance. 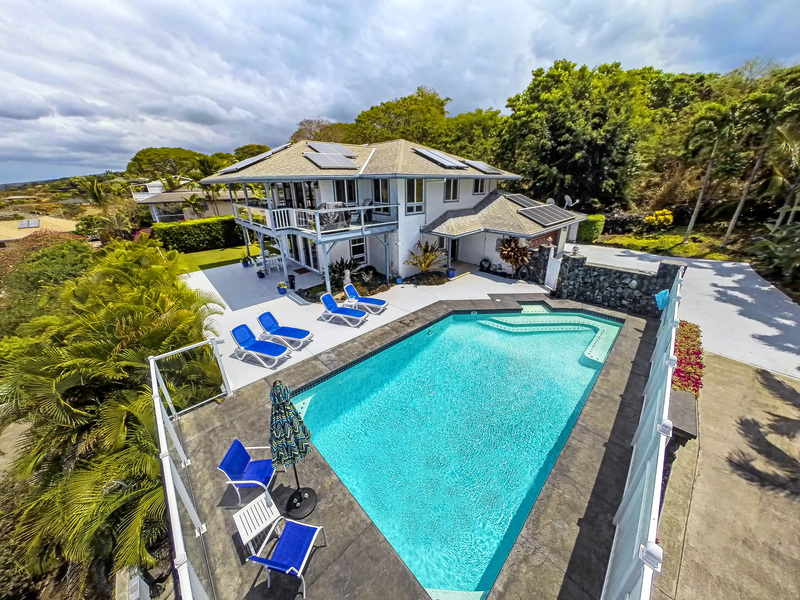 This home sits right on one of the most popular beaches for snorkeling, and it’s the perfect choice for a family who loves adventuring into the waters. While staying at this comfortable condo, you can make a short trip into town to book a snorkeling or scuba diving trip, which is why it’s one of the best places to stay on The Big Island. Added bonus: this rental is just a little ways from the Kahalu’u Beach State Park, which is known for its beautiful green Hawaiian Sea Turtles. If you love exploring the local wildlife, book a stay at this two bedroom, two bath oceanfront ground floor unit and take in the million dollar views for an affordable price. 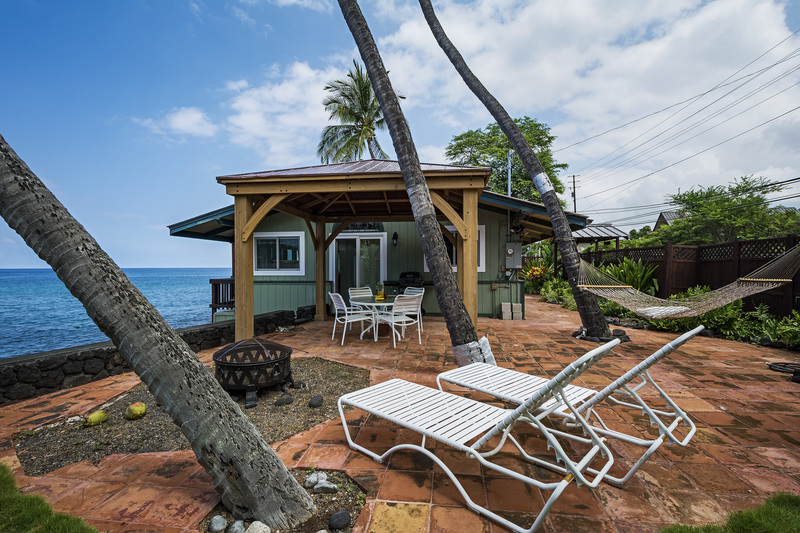 If you’re all about convenience, then this peaceful cottage might be the best place to stay on The Big Island. It’s located a short distance from an easily-accessible snorkeling beach. The cottage is easy to find and close to the road, but the privacy fence makes it feel nice and secluded in your very own beach bungalow. Yet another convenience: the bay next to the house is an extremely popular snorkeling location, and they even provide you with the necessary equipment. For very inexpensively, you can plan an incredible trip with very few hassles. The name implies it all: this is a spacious rental that offers stellar ocean views, lovely breezes, and access to the beautiful marine life of Hawaii. The nearby Keauhou Bay offers scuba diving and snorkeling outings, as well as sea kayaking, canoeing, and fishing trips. Stop by Kahalu’u Beach State Park to meet some sea turtles, then enjoy a relaxing evening in your comfortable lodgings. You’ll have access to all of the amenities and adventures you could hope for in Kona with this vacation rental beauty. This is truly one of the best places to stay on The Big Island. 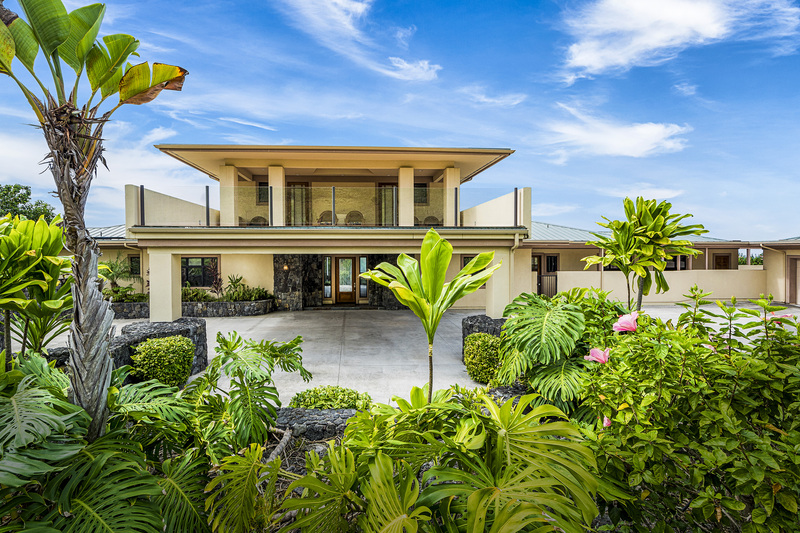 For snorkeling and beachside vibes that have been described by reviewers as completely “out of this world,” consider splurging on this incredible custom home for your time on The Big Island. The house can fit up to seventeen people and has seven bedrooms and seven baths. Bring a big group and you and your friends or family will have unobstructed views of blue waters, an infinity pool, easy access to shops and restaurants, and a short trip to some of the island’s most impressive natural sights. Be sure to bring your swimsuits and snorkeling gear because the dolphins, fish, and sea turtles are waiting. Ready to experience a Big Island vacation of a lifetime? Click here to browse all of these and even more incredible, private beach vacation rentals in the greater Kona area. Whatever your needs and interests might be, our unique and beautiful home rentals can accommodate.